These bulbs are an easy-to-fit, direct replacement for existing bulbs. They also have a long lifespan, designed to enhance visial appearance, and are brighter than most standard bulbs! In addition to all these benefits, they have good vibration resistance and have fast response times. Fitment: 501 Socket Codes: 501 - W5W - W2,1x9,5d - T10 Power: 12v Position: Side Lights Colour: White Please note the information we supply regarding vehicle fitment is for reference only and we recommend you check your vehicles handbook to ensure you are buying the correct fitment of bulb. These are not recommended for road use. Fase de Thalia Renault símbolo que luz trasera derecha de la cola. Fabricante: Renault. Descripción Esta cola está en buenas condiciones, con desgaste sólo luz. Su equipo de servicio de piezas de auto tocino. Die Voraussetzungen für eine reibungslose Einfuhr in Ihr Land müssen gegeben sein. Unsere kooperative und freundliche Art unseres Teams zeichnet uns aus. Es gelten die gesetzlichen Gewährleistungsregelungen. BASE: PX26d. 2x H7 HALOGEN BULBS. E4 TYPE APPROVAL. WHITE 5300ºK (XENON EFFECT). MINIATURE BULBS. XENON BALLAST. We are a group of people working from the Catalan Pyrenees (Ribes de Freser) Spain. Rest of World. RENAULT 7701045717. Eg, Vetech, Erst Klassig, Franzen, NK, etc. We will always attempt to rectify the issue as fast as possible! With this in mind, we will indicate what type of product you are looking at within the following guidelines. $Headlight Restoration Kit Headlight treatment polish headlight sealing Opacity and yellowing drastically reduce the luminosity of headlights! Restricted vision and perceptibility become a risk to all motorists. The QUIXX Headlight Restoration Kit provides a quick, permanent and reasonable remedy. That is proven by the excellent results in various product tests of international trade journals, too. Gelenk für Längswelle. Tuning Rückleuchte. Lenker für Radaufhängung. Fensterheber Reparatursatz. Schalter für Fensterheber. Radlauf Hinten. Fensterheber f. man. Warnleuchte für Spurwechsel. Renault Thalia I. TheRing Rectangular Driving Lights are slim-line lights for bumper or spoiler mount. They are easy to fit and include halogen bulbs and brackets. Ring Rectangular Driving Lights Extra Info. HELLA 8GA 002 073-121. Bulb Type P21W. Rated Power [W] 10 W. Part Details. Rückleuchte ohne Lampenträger. Tuning Rückleuchte. Lenker für Radaufhängung. Zubehörsatz für Bremsbacken. Scheinwerfer Reparatursatz. Tuning Scheinwerfer. Xenon Scheinwerfer. Lackierte Scheinwerferblende. Tuning Rückleuchte. Rückleuchte ohne Lampenträger. Lenker für Radaufhängung. der Identifikation der Fahrzeuge und - oder Fahrzeugtypen. Alle Angaben ohne Gewähr. Stoßstange Vorn. Kotflügel Vorn. Lackierte Kappe f. SWA. Tuning Rückleuchte. Rückleuchte ohne Lampenträger. Lenker für Radaufhängung. der Identifikation der Fahrzeuge und - oder Fahrzeugtypen. Alle Angaben ohne Gewähr. Farbe: gelbe Blinkleuchte. Stoßstange Vorn. Halteband für Hutablage. Gelenk für Längswelle. Gasfeder für Heckklappe. Lenker für Radaufhängung. Warnleuchte für Spurwechsel. Lackierte Stoßstangenleiste. Lackierte Stoßstangenecke. Lackierte Stoßstangengitter. H11 BLUE WHITE 3700K. Hermosa luz blanca que da hasta un 75% más de luminosidad que los halógenos estándar. Duran mucho más que las bombillas estándar. Más brillo, más similar a la luz del día, en comparación con las bombillas halógenas estándar. 9005(HB3) LUNEX PLASMA XENON 5000K. Duran mucho más que las bombillas estándar. Hasta 90% más luz. Luz más brillante. HQ UV Quartz Qlass es un vidrio muy resistente, resistente a temperaturas extremas y vibraciones, eliminando el riesgo de explosión. Rückleuchte mit Lampenträger. Tuning Rückleuchte. Lenker für Radaufhängung. der Identifikation der Fahrzeuge und - oder Fahrzeugtypen. Alle Angaben ohne Gewähr. Scheinwerfer Reparatursatz. Tuning Scheinwerfer. RENAULT 7701045718. We just want you and your car to be happy! Eg, Vetech, Erst Klassig, Franzen, NK, etc. We will always attempt to rectify the issue as fast as possible! With this in mind, we will indicate what type of product you are looking at within the following guidelines. Part No. 7701089085 (260602462R). Genuine Renault part. Renault Kangoo I various engines and chassis numbers. LH halogen headlamp to fit various engines and chassis numbers in the following vehicle range. Rear Fog Light Red Lens Repair Automotive Tape For Cracked/Holes Lamps Units. Works with all Years and Engines Automotive Lens Repair Tape - Red - 1mtr Driving with a broken or cracked tail light is illegal and dangerous - This red lens repair tape is ideal for your for the rear tail lights (brake and fog lights) When fitted correctly helps broken or cracked lights shine the correct colour Adhesive backing helps to seal broken units to minimise water leakage Will make your car road legal again and pass an MOT. 30 amp Fused Relay with Pre Wired Loom. Includes 30 amp relay, in-line fuse, all necessary wiring pre-wired to relay, illuminated rocker switch and bracket. Full Pro Wiring Fitting Kit with Rocker Switch. Las bombillas Vision producen un haz más largo para una mayor seguridad y comodidad. • El artículo debe estar en elcaja original, cualNo se puede dañar, Rayado o estrellado. • A fin de queCalificar para una vuelta, El artículo debe ser inusitado y en la misma condición que usted lo recibió. Derecho de Faro Hella Renault Clio II Thalia. RENAULT CLIO II (BB0/1/2_, CB0/1/2_) 1.2 (BB0A, BB0F, BB10, BB1K, BB28, BB2D, BB2H, CB0A. ) 09.98 - 43 58 Año de 06.01. RENAULT CLIO II (BB0/1/2_, CB0/1/2_) 1.4 (B/CB0C) 09.98 - 05.05 55 75 Año de 06.01. 19 cm DRL 20 LED de iluminación parte de lámpara para Renault Safrane Thalia Master. 19cm DRL 20 LED Lights Lighting Lamp Part For Renault Safrane Thalia Master. Las luces de circulación diurna (DRL). OSRAM HB3 Cool Blue Intense. La luz azulado-blanca con hasta 4200 K descubre COOL BLUE INTENSE - lámparas halógenas de alta tecnología, casi en la liga de lámparas de xenón. Con su potente y brillante luz azulado-blanco de hasta 4200 Kelvin, cuya viga fría hace que se vea muy parecido a una lámpara de xenón, le da a los verdaderos fans de diseño su valor en dinero. 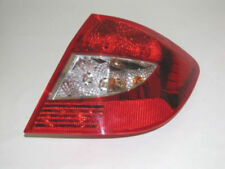 Faros Hella izquierda Renault Clio II Thalia. RENAULT CLIO II (BB0/1/2_, CB0/1/2_) 1.2 (BB0A, BB0F, BB10, BB1K, BB28, BB2D, BB2H, CB0A. ) 09.98 - 43 58 Año de 06.01. RENAULT CLIO II (BB0/1/2_, CB0/1/2_) 1.4 (B/CB0C) 09.98 - 05.05 55 75 Año de 06.01. Renault Thalia I. LaAnillo Rectangular de conducción luces son luces de slim-line para montaje de parachoques o spoiler. Son fáciles de montar y son los soportes y lámparas halógenas. Anillo Rectangular de conducción luces. Placa de LED Interior Festoon DACIA Logan Sandero RENAULT Clio Thalia. RENAULT Thalia I LB0/1/2_, construido por 02.1998-06.2008. DACIA Sandero construido por 06.2008 hasta 12.2012. DACIA Logan LS_, construido por 07.2008 hasta 12.2012. Fabricante de piezas:HELLA 1DB008 461-861. Busques lo que busques, tenemos la solución perfecta. RENAULT THALIA I (LB0/1/2_) SEDAN 1.5 DCI 68 CV K9K 700, K9K 714 2003.02-. RENAULT THALIA I (LB0/1/2_) SEDAN 1.4 16V 98 CV K4J 712 2000.08-. Duran mucho más que las bombillas estándar. 9005(HB3) PLASMA BLUE 4200K. Las innovadoras soluciones de iluminación innovadoras de Lunex para automóviles hacen que la calidad británica sea asequible. Lampenfassung für Rückleuchte. Tuning Rückleuchte. Lenker für Radaufhängung. Warnleuchte für Spurwechsel. Schalter f Nebelschlussleuchte. Zubehörsatz für Bremsbacken. Scheinwerfer Reparatursatz. Xenon Scheinwerfer. Rear Fog Light Red Lens Repair Automotive Tape For Cracked/Holes Lamps Units. Works with all Years and Engines Automotive Lens Repair Tape - Red - 1mtra Driving with a broken or cracked tail light is illegal and dangerous - This red lens repair tape is ideal for your for the rear tail lights (brake and fog lights) When fitted correctly helps broken or cracked lights shine the correct colour Adhesive backing helps to seal broken units to minimise water leakage Will make your car road legal again and pass an MOT.